First rule for working at the White House: expect the unexpected. Whatever I have planned to do on any given day, I arrive at work prepared to toss those plans out the window and do whatever is asked of me. Take for example the earthquake that shook D.C. last year and sent everyone scurrying for cover. Gordon Sims, who’s weathered nearly every disaster imaginable in his years as head gardener, caught several books as they danced off their shelves and set them on his desk just as a shriek sounded from down the hallway. Memories from 9/11 run deep through these hallowed hallways. The deep rumbling and violent shaking down here in the White House’s basement triggered some well-placed fears that terrorists were attacking. A Secret Service agent jogged down the hall to reassure everyone. “It’s an earthquake, not an attack. Just to be on the safe side, we’re asking everyone to evacuate.” Which we did in a neat and orderly fashion. I grabbed my gardening gloves and my hand trimmers on the way out. The devil won’t bother with busy hands, as my grandmother likes to tell me. 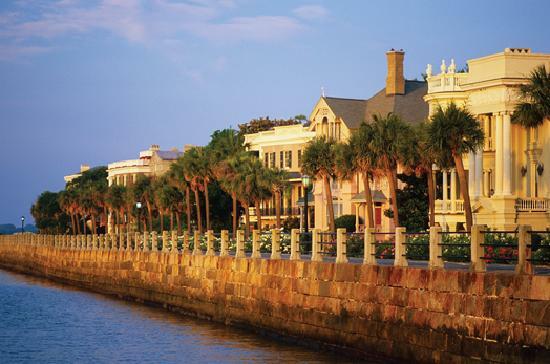 I grew up in Charleston, SC, a city with several earthquake fault lines running near its old (and sometimes rickety) buildings. Shaking and rattling isn’t that unusual. Don’t forget the great earthquake of 1886. Afterwards, many buildings in Charleston had to be pulled back together with great metal bars. Those bars can still be seen in the older buildings today. I’d love for him to meet her, too. But I’m not sure I’m ready for my genteel grandmother to meet Special Agent Jack Turner. He’s a counter assault team member of the Secret Service. He’s also deadly handsome, deadly serious, and just plain deadly. To keep on his good side, I’d started bringing a gourmet cappuccino to give Jack on my way through the White House’s iron gates in the morning. Not that I ever know when he’s on duty. It’s frustrating, but that’s how the Secret Service operates...secretive as all get out. This morning, like most mornings, Gordon and I stood at the base of the North Portico and watched as the capital city woke up. I sipped on Jack’s cappuccino while Gordon and I discussed the gardens. Some days we get to spend all day working out under the sun in the gardens or out at the greenhouses with the rest of the grounds crew. Other days we’re stuck inside answering questions from the press, ordering new supplies from our approved vendors, dealing with mounds of paperwork, or stuck in meetings. There tends to be tons of meetings, but that’s government for you. Write it down, talk about it, talk about it some more, then get to work. “Tell them about the volunteers.” Gordon nudges me with his elbow. “They are wonderful.” Besides the Nation Park Service grounds crew who help out in the gardens, we’re blessed to have some great volunteers from both the White House and West Wing staff as well as from the general D.C. public. 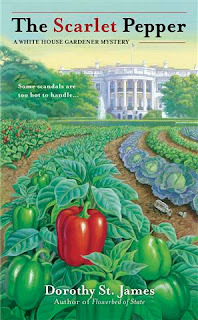 White House chefs have been especially keen on working in the First Lady’s brand new Kitchen Garden. But it’s the West Wing staff who have caused me the most headaches. They mean well, but I really have to watch what they’re doing or else I’ll find that the vegetable plants have been pulled out of the ground, and the weeds left behind. Yes! It has happened. More than once. And don’t even get me started about the time I pried a suicide note out of Milo’s mouth. Milo, by the way, is the President’s naughty goldendoodle rescue puppy. Gordon and I try to keep the pup out of trouble, but he seems to have a knack for finding it. Oddly enough, the Secret Service thinks I do, too. You’ll have read The Scarlet Pepper to hear about the note Milo found and the heap of trouble it caused for everyone...especially me. 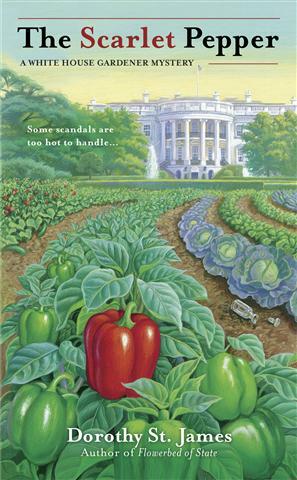 Don’t miss Casey’s first misadventure in the White House gardens. 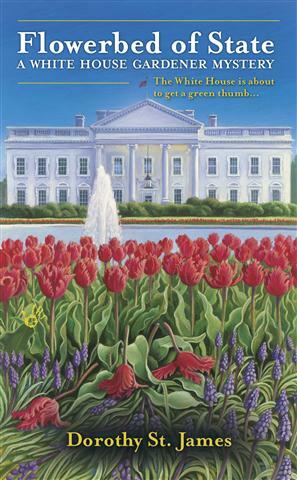 Flowerbed of State, the 1st book in the White House Gardener mystery series, is available now from Berkley Prime Crime. Order The Scarlet Pepper from your favorite bookseller today! Meetings! You've given me a whole new picture of the life of a gardener. Meetings--eeeek. Goodness. You're everywhere today. TBR pile. Yes, Haylee, there's never any shortage of meetings around here. I'm going to sneak in some weed-pulling this morning before I have to get to a meeting about the upcoming White House's Spring garden tour. Thank you for stopping by, Liz and Haylee! It's been an exciting time ever since last Tuesday's release of The Scarlet Pepper! But it's back to work for me. Now where did I put that requisition form? Life could never be dull working at the White House. I can't wait to see what Milo has gotten you into. Wow... earthquakes and murders and gardening, oh my! Sounds like never a dull moment. Goldendoodle? I've been reading about them everywhere. They're very popular and so cute. I had no idea that staff members volunteer. Bet you pick up a lot of gossip that way!